Hey everyone. To get things going this week, I have a rare palette review. This one has been on the draft pile for so long and I finally have the time to finish this review. 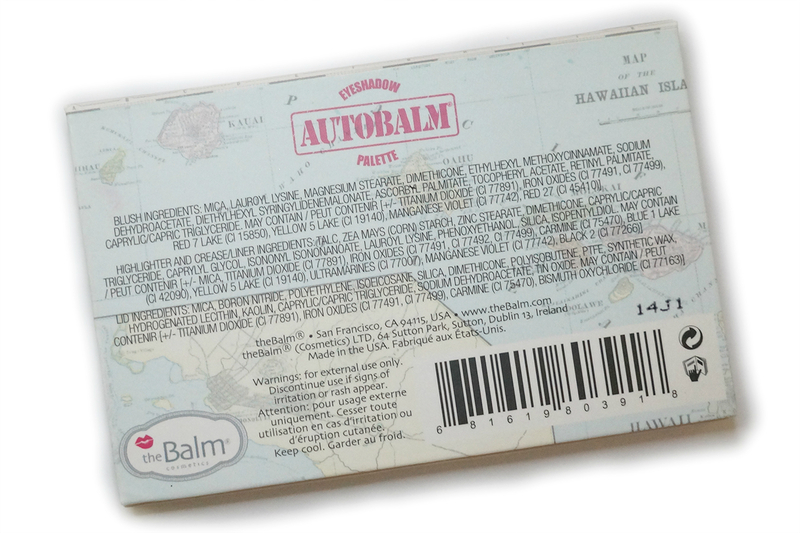 Today's palette is from one of my favorite brands, theBalm Autobalm Hawaii Face Palette. 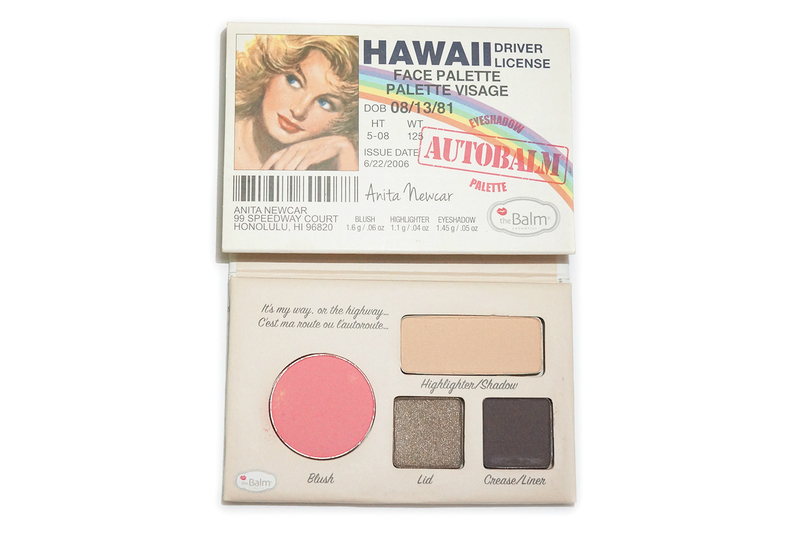 This cute palette is designed for travel (as with the driver's license theme) bot in size and the shade selection. It's the size of a credit card so it's small and convenient for on-the-go touch ups or when you're just limiting what you put on your bag when you're traveling. Blush - a cool toned medium hot pink with a matte finish. The blush is quite pigmented so a little bit goes a long way. The pink color looks very natural. I felt that the blush was on the powdery side especially compared to most of theBalm's full-sized powder blushes (Argyle, Houndstooth, Toile) but this still blended out well, so I had no problems with the application. 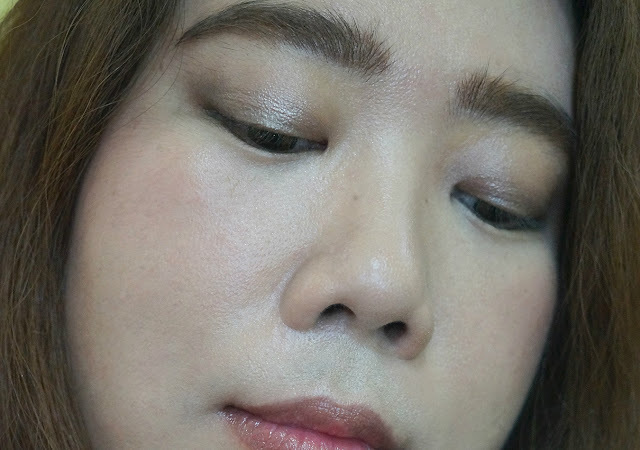 Lid Shadow - a shimmery taupe. This flattering and beautiful shade had the best formula in the palette. It is creamy and applied smoothly and evenly. It was also easy to blend out and without any fallout. Perfect for using all over the lid. Crease/Liner - a matte dark brown with cool undertones. Pigmentation is good but I think would be best applied wet or with a primer. This also felt powdery and doesn't blend out as well as the rest in the palette but this works okay as a liner in that regard. Highlighter/Shadow - a matte creamy light beige with no shimmers. This one also felt powdery, perhaps a bit more than the blush. I experienced a bit of fallout but nothing too major. This is not a highlighter in the traditional sense since it does not have any shimmers (and is matte). I use this as a base shade for the lid or on the brow bone and the bridge of the nose to brighten up those areas. 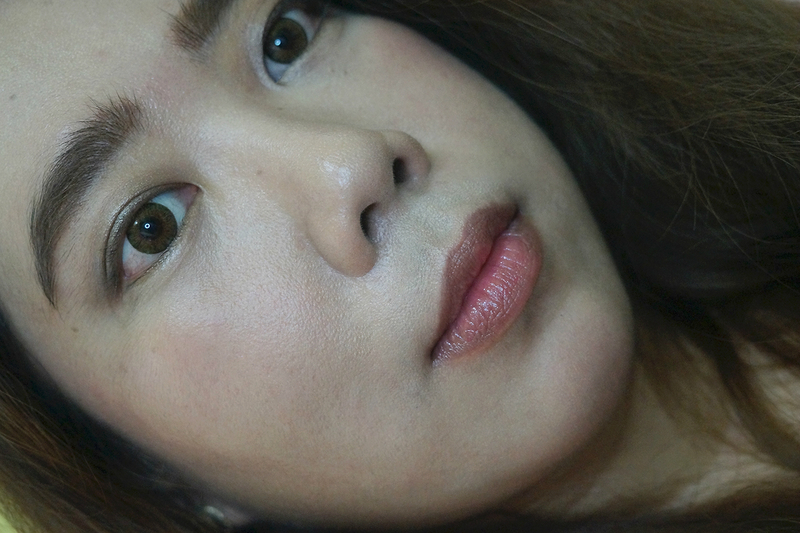 On my face: beige highlighter/shadow applied all over the lids as base, taupe shadow on my lids, dark brown crease/liner on the outer corners of my eye and as a liner, and pink blush on my cheeks, applied very lightly. 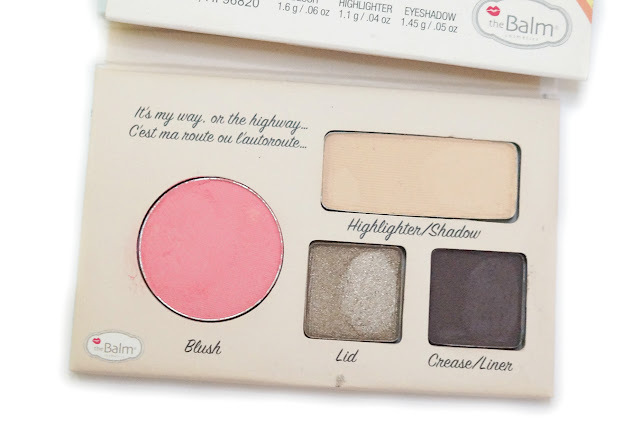 Overall, this palette is a nifty little collection of everyday, universally-flattering shades. 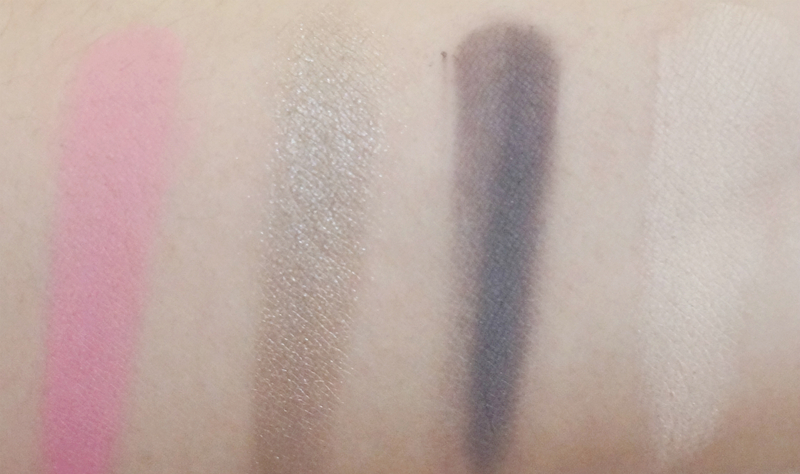 Some of the shadows were a bit powdery but nonetheless, they applied fairly well and have good pigmentation. My favorite shade would be the shimmery taupe which was really pigmented and was a dream to use.